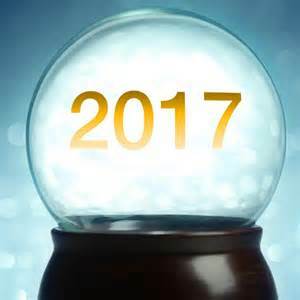 Early into the New Year, a cursory search for "trends in fundraising 2017" on google or any search engine will yield no less than 35 predictions on fundraising for the coming year.Many of these prognostications are from experienced people in the field and offer great wisdom.But as the great "bard of baseball" Yogi Berra once said, "Predictions are tough, especially when they're about the future!" Rather than basing your 2017 plans on predictions, a suggestion is to consider trend analysis, both in your own office and across philanthropy as a whole.Understanding "why" things are helps you better map out "what" and "how" you are set to accomplish your 2017 goals.A leading education consultant in California, Greg Dhuyvetter, recently said it best: "The bottom line is:predictions often lead down blind alleys while trend analysis gives full flexibility to recognize and adapt to a changing future." 1)The 'lifeblood' donors, those giving small amounts consistently, are coming back, but are being offset by failing donor retention rates. Tracking since the Great Recession, there has been a consistent return of the "$100 donor," those that consistently donate to various causes.This trend is offset, however, by poor donor retention rates.Accordingly to bloomerang.com, donor retention rates (the percent of retaining previous year donors) has dropped from 50% in 2010 to an abysmal 39% in 2016. 2)The mega donor phenomena continues. The number of gifts of $100 million or greater doubled in 2016 compared to previous year, according to the Chronicle of Philanthropy.There were also an additional 6 gifts of exactly $100 million.North Carolina has seen its share of mega donations, primarily from large gifts to several major universities and health care centers across the state.As long as market conditions thrive and the wealth transfer continues, look for more mega gifts in the future. 3)The revolving door of the nonprofit executive continues.According to numerous national studies, the average tenure for a nonprofit executive is about five years.Taken into consideration that the average rate takes into account many long-term, successful nonprofit executives, it is increasingly difficult for donors to maintain relationships with such constant personnel change at the top.Now in a time where baby boomers are retiring at record rates, nonprofits need to take stock in executive succession planning. 4)Donors continue increasing their use of philanthropy tools other than just 'writing a check.' Donor Advised Funds, Giving Tuesday, crowdfunding, sustaining credit card gifts, online donations and venture philanthropy are just a few of the trending ways that donors are engaging their nonprofits of choice. The above reflects only a small portion of numerous trends that are impacting the sector as 2016 ends.How does your own trends compare?What is your donor retention rate?How are you engaging donors who have capacity to make a major gift? Does your nonprofit have a staff retention or and executive succession plan?Has you nonprofit taken advantage on the technology available today? 1)Nonprofits that have successful annual giving programs will equally emphasize acquiring new donors AND maintaining donor retention.Did you know that numerous studies reveal that simple, sincere thank you and communications of gratitude can improve donor retention as much as 25%?Look to see how you are designing not only your donor acquisition plans, but also your stewardship plans for donor retention.It costs much less to keep donors than to acquire new ones. 2)Nonprofits that engage in meaningful relationships with major gift donors will succeed because they are listening to their donors and matching donor interest with their nonprofit's ability to meet the desired impact.Mega gifts happen because donors want to impact areas of interest and are excited and challenged by the nonprofits who are seeking the gift.Take a look at how you are engaging major donors.Are you simply playing the game or challenging and inspiring donors be game changers? 3)Nonprofits that nurture and provide resources for personnel will thrive.Evidence abounds that those organizations who value their personnel, who in turn feel that their work is of value, produce greater results.Even small organizations on limited resources can provide board engagement, non-cash incentives such as flex leave hours, and creative work environments that set clear expectations and open channel communications are just a few examples on how to retain the best and the brightest. 4)Nonprofits that embrace technologies thrive. Understand the various methods of giving through online and social media sources.Research or talk with a local community foundation representative about what donor advised funds are.Understand that many of these online portals are often more transactional and it is up to the nonprofit to engage the donor toward a more relational giving. These ideas are not as much predictions as they are platitudes. They may sound trite and used at first but have held up over time and sustained many nonprofits through the ups and downs of any one year.Who controls the various branches of government, how volatile financial markets affects donations, or when major weather catastrophes strike a region do influence sentiments and short-term decisions but do not drive long-term philanthropy trends. Nonprofits that weather the predictable ebbs and flows of philanthropy are those who have a deep understanding of why they exist to serve, a track record of impact, and a relationship to volunteers and donors who share the same desire to see mission impact and outcomes. In 2017, go and make a difference!